Home » blocks » That was fun! 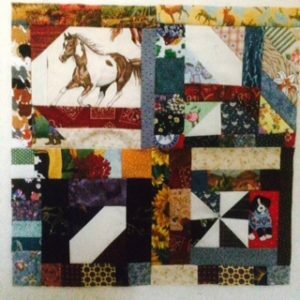 Posted by Kathleen on February 7, 2018 in blocks | Comments Off on That was fun! Spent the afternoon digging through my orphan blocks and sewing them into scrap blocks. It has been a long time since I dug through them – found lots of treasures I’d forgotten about, although most too big for this project. Here are 4 from me for the drawing, if they pass the test.